Chemotherapy has considerably transformed the paradigm of cancer treatment and management all over the world. Various devices used for the delivery of chemotherapy through reliable venous access in patients has played a crucial role in the management of the disease. Devices such as cannula, catheters, and implantable ports have gained significance for chemotherapy. The rising acceptance of intravenous chemotherapy treatments has been offering increasing momentum to the evolution of the chemotherapy devices market. The methods and devices have gained popularity over the years in cancer treatment as they allow for better adoption of chemo drugs and fluids through the blood stream of patients. Of the various devices, central venous access devices (CVADs) for chemotherapy have gained traction in the market. These devices deliver chemotherapy medications via cephalic vein, external and internal jugular, and sub-clavian veins. The rising incidence as well as the prevalence of various cancer types in various regions is a prominent factor driving the chemotherapy devices market. The growing morbidity of cancer, coupled with the rising patient relapse rate, is propelling the need for better chemotherapy devices for the delivery of oncology medications to patients. The growing economic burden of the disease, especially among geriatric patient populations, is a notable trend offering big impetus to the growth of the chemotherapy devices market. Over the past few years, clinicians and oncologists are making efforts to combine the various methods of chemotherapy devices with biosensing, with the aim to improve treatment outcomes. Growing number of randomized clinical trials for accessing the safety and efficacy of chemotherapy devices will underpin new frontiers in the global chemotherapy devices market. The advent of point-of-care and implantable devices for cancer treatment has opened an exciting paradigm in personalized chemotherapy. Such chemotherapy devices are gathering traction for hard-to-treat diseases, as they enable the delivery of medications delivering chemo specifically to the organ needed, and without affecting the surrounding tissues. Efforts of device makers to make their products portable have further improved the functionality. Chemotherapy devices for pancreatic cancer is a recent case in point. A North Carolina-based U.S. company Advanced Chemotherapy Technologies since the early months of 2018 has been intensively working on developing implantable devices that will be used for the delivery of chemo drugs to patients suffering with pancreatic cancer. The device resemble the size of a coin and when tested in murine models was found to effective in substantially reducing the size of tumors in them. The chemotherapy device is based on electric field-enabled delivery method. As personalized chemotherapy gains momentum in oncology, rapid advances have been made in point-of-care (POC) devices that show great potential in increasing the possibility of monitoring disease progression. The use of specific biomarker-based dosage in POC testing seems to open a new avenue in the chemotherapy devices market. The report takes a critical look at the current and emerging avenues in various regions. Of the key regional markets for chemotherapy devices, developed regions, notably Europe, are expected to generate vast revenues during the assessment period of 2018–2028. This may be attributed to the growing spending of governments and private players in increasing the access of better chemotherapy devices to patient population is these regions. Meanwhile, numerous developing regions such as Asia Pacific will be key to new frontiers in the market, driven by the rising need for better chemotherapy treatments for the regional populations. The rapid pace of geriatric population in these regions is likely to present lucrative avenues for medical device manufacturers. The study offers a granular assessment of the various dynamics shaping the competitive landscape by analyzing the impact of major strategies adopted by players to strengthen their positions in the chemotherapy devices market. 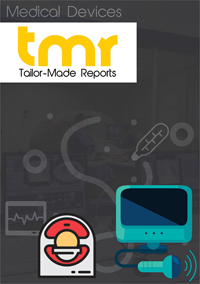 Prominent players operating in the chemotherapy devices market can be Zyno Medical, Terumo Corporation, Micrel Medical, ICU Medical, Halyard Health, Fresenius Kabi, Becton, Dickinson and Company, Baxter International, and Advanced Chemotherapy Technologies.